I wrote the central contents of this playful note in 2004 after Bob and I became the proud owners of a shiny new, "Inferno Red" Dodge Magnum RT, with feisty Hemi engine. At the time, a controversy was brewing over the "invasion" of our All-American NASCAR by Toyota. The biggest argument brought forward, of course, involved the question of American-made versus foreign made. 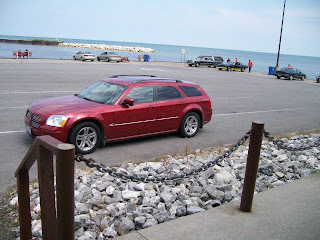 Most people, including me, would have pegged my Dodge Magnum as "All American" or "Made in America." Turns out my car might have more closely qualified as "Made in the Americas." Its components were made in Mexico (in South America) and in Canada (in North America). That information surfaced when I called the manufacturer to replace the "all season" tires. Winter weather had arrived, and in the snow and ice, those tires were more like racing slicks. The Dodge people referred me to their engineer in Mexico who had matched the tires to the car. He was a Mexican citizen who admitted to me that his knowledge of North American winters was scanty. He transferred me to a Dodge engineer in Canada, who might know more about the challenges of ice and snow. Of the old Big Three (Ford, GM and Chrysler) and the newer "big three" (Toyota, Honda, Nissan)---which of these are "Made-In-America?" All are global companies, which means their jobs and profits go to stockholders and workers all over the globe. All source some of their parts (and some also make some of their vehicles) in Asia, Europe, Canda or Mexico. Yet they also build in the U.S. 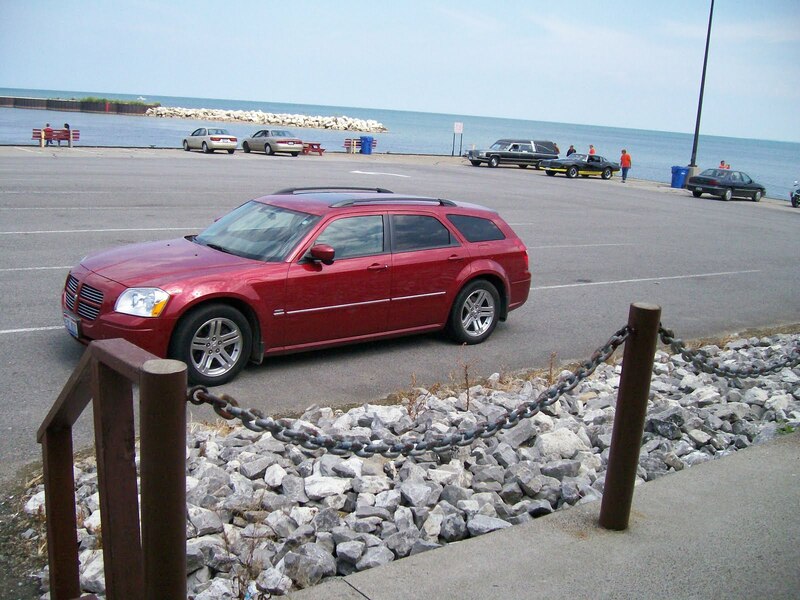 The Chrysler Group, which created my Dodge Magnum (the sport-wagon version of the popular Chrysler 300) was based in Michigan. But its "new Papa" (Diamler) was based in Germany. Did I buy an American car or a German car? Perhaps the domestic-content labels could be of help. Our legislators, after all, mandated domestic content labels to make it easier for us to understand such things. I checked these out and No! I was still confused. Those numbers can be skewed if a major component of a vehicle---be it engine, transmission, drive axle, whatever---comes from elsewhere. That can lower the domestic parts content numbers. Google it up sometime; there seem to be different formulas. What percentage of the parts are made here? What if the most important parts are made elsewhere? And why is one part more important than the other, when you need them all to bring the car together? After googling until I was googled-eyed, I found that some "Made in America" specs include Mexico and Canada... Some listings said it matters if the majority of profits are invested in America... Others said, "If it involves United Auto Workers, it's domestic!" And then there was that Toyota guy. Some said that half of that company's $68 billion in North American sales the year before had come from U.S. and Canada-made vehicles, and the company had invested its profits state-side in new plants, new products and other investments. Some websites even listed Toyota as "Made in America"---Nascar or not. The more I checked things out, the more befogged I became. WAS there such thing as an "all-American" car? Finally I gave up. Suffice to say, I love my country and I also love my Dodge Magnum. I am still driving it and I love everything about it (even though the company no longer manufactures Magnums). It may be that I drive a car that qualifies as a "mongrel," but it was purchased here in Lake County, Ohio, USA; and it's serviced here in Lake County, Ohio, USA. As such it helped the bottom line for my fellow Americans at the local dealership, and it continues to help the bottom line for the people who service it. What do YOU all think? (Honk when you see me, unless you think I'm un-American). ROSE'S NOTE: I've owned my Magnum since October 2004 and still consider myself to be an All-American Rose. Go to the Q&A for great tips from Yahoo! Answers users.